Witch Hunters, the chosen champions of mankind, are all that stands between the innocent and the fell beasts of the Invisible World. Many Witch Hunters take up arms and fight with strength of arms, but you fight fire with fire. The power of the Invisible World is your weapon, and this tome of magical secrets is your arsenal. 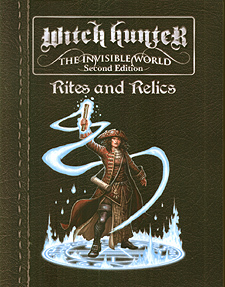 Relics and Grimoires containing great power and eldritch secrets.